B. Thomas (Arlington, Texas, United States) on 22 September 2015 in Animal & Insect and Portfolio. 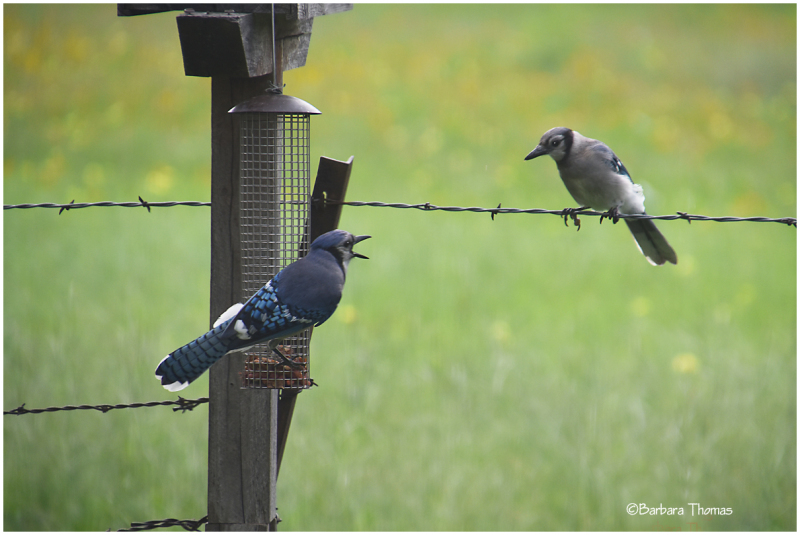 A couple of blue jays dish the dirt about the neighbors. "I never repeat gossip, so you'd better listen carefully the first time." Superb in every way - an excellent ST posting. Bravo ! Commérages de quartier !! :) excellente prise. with beautiful composition, timing, focus, colors, lights & bokeh! ha ha ha !! Lovely interpretation and beautiful image !!!!! Fits nicely in the day's theme. It seems that the important news is announced. Perfectly titled and very well framed. You nailed it with that title. Reminds me of a few people I know. ça pialle quels oiseaux sur ces fils quelle vue et compo sueprbe. Very cute! I can just imagine that conversation.